For the past 30 years, Ms. Messing has worked in the arts field. Her career has included work as a Registered Music Therapist and Creative Arts Manager, as a music educator and as an oboist. Prior experience includes arts program development and implementation for children, seniors, at risk adolescents, acute care hospital and rehab patients. For the past 15 years, she has focused on enhancing the arts of North East Tarrant County, first with Art in the Square and the Southlake Arts Council, more recently as co-founder and Chairman of the Apex Arts League. Ms. Messing has a Bachelor and Masters degree in music. She and her husband Mark have 2 children working as professional musicians. She performs with the Northeast Orchestra, the New Philharmonic Orchestra of Irving and has begun to dabble with paint. Jesika has worked in graphic design (web, print and multimedia) for 20+ years, both in corporate and independently (GrafikArts). She is a graduate from the Art Institute of Dallas in Design/Computer Animation and attended DBU for Early Childhood education PK-4th. She has a passion for and appreciates all the arts and strives to help others find joy in them as well. She also has a passion for working with children and educating them. Jesika enjoys serving with various nonprofits - APEX Arts League: Vice Chair, the Southlake Arts Council: developing and growing the public art program, Art in the Square: help jury, Southlake Women's Club, Red Cross: Disaster sheltering, Gateway Church SLK: Serve with Children’s Ministry, Compassion: Assist sponsoring children-Table, VR, and Handout. Tamara has been a resident of Southlake for 24 years. She spent a 30 year career in the mortgage banking industry and has been retired since 2011. Since that time she has expanded her involvement as a community volunteer. Tamara is a past director of the Bob Jones Nature Center Organization where she chaired and co-chaired a number of very successful fundraising events. 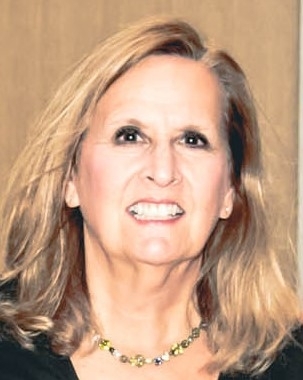 She currently serves on the Southlake Parks Development Corporation, the Southlake Arts Council and the Southlake Historical Society. She also is president of Nature Reach, a newly created nonprofit organization based in Southlake. Tamara is a past member of the Southlake Community Choir and has served as a volunteer for the Southlake Community Band. She is an alumna of the University of South Florida, where she met her husband Ken. Ken McMillan has been involved with the arts in Southlake for more than two decades. He is a founding member of the Southlake Community Band, where he has served in various leadership positions, including President. 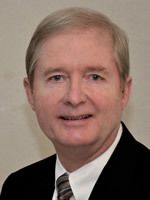 He also served as a member of the Apex Arts League advisory board for several years prior to joining the executive board as the League’s Treasurer. Since moving to Southlake, Ken has built a history of service to the community. He is an appointed member of the Southlake Crime Control and Prevention District Board. He is a volunteer for the Department of Public Safety and regularly volunteers to assist other local non-profit groups. He also has held leadership positions with other local organizations, including president of the Mission Hill Estates Homeowners Association and president of the Northeast Tarrant Amateur Radio Club. Andrew Clugston is an Associate Vice President with Morgan Stanley. Andrew acquired his BA (Honors) from Bucknell University, and his JD from University of Melbourne, Australia. Andrew practiced as a capital markets lawyer with White & Case in London, England. He advised on over $9 billion in security offerings and programs, including the first ever Ukrainian Loan Participation Note program and a US$2.25 billion IPO for an Indian real estate company – the largest Indian public offering at that time. He currently does not provide legal advice. An enthusiastic musician, Andrew began playing the violin at seven and undertook his formative studies in Geneva, Switzerland. He currently serves as first chair of the White’s Chapel Orchestra and as violinist with the dynamic chamber ensemble, Versa Strings. Andrew and his wife, Kara moved to Texas in 2009 and are actively engaged in the Suzuki Music Institute of Dallas community, where their eldest daughter is learning the cello. Noreen Wasserman Houston, is a marketing and logistics professional who primarily worked for consumer market companies including Clairol, M&M/Mars and TCBY as well as Burlington Northern Railroad, where one of her projects was written as a Harvard Case Study. After retiring as a vice-president of Logistics, she pursued a second career in non-profit management with the Susan G. Komen Breast Cancer Foundation. She continues to serve in the community as a board member of the Jewish Federation of Fort Worth and Tarrant County. Previously, Noreen was a board member of the Jewish Education Agency and Beth-El Congregation. She has a MBA in Marketing from Fairleigh Dickinson University, and a BS in Business Logistics from the Pennsylvania State University. Noreen and her husband Bill reside in Colleyville, and love spending time with their two children and two precious granddaughters, Isabel and Felicity. As a native of New Orleans, Heather has a lifelong passion for the arts. Her commitment to the APEX Arts League stems from her belief in intentionally cultivating future arts patrons. This commitment extends throughout the community as demonstrated by her involvement with the city of Southlake’s Art Council, the Carroll ISD Art Docent program and the LifeStage Theatre Parent Booster Board. She is a graduate from the University of New Orleans. Heather, Rob and their three children, Luke, Zack & Karys, have called Southlake home since 2011.